Illinois Green is excited to share that registration is officially open for MEEA's 2019 Midwest Energy Solutions Conference! Register today to reserve your spot. The Midwest Energy Solutions Conference unites more than 650 of the region's leaders and innovators in energy efficiency for three days of insightful panels and unparalleled networking. This annual conference is about celebrating the industry's accomplishments, while looking ahead at the changing policy landscape and latest technological breakthroughs. 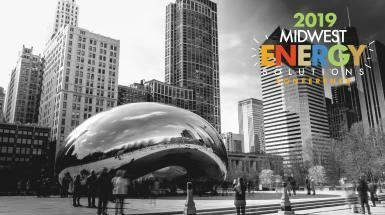 Join us in Chicago for MES 2019 and find out why MES is the region's premier energy efficiency event. "My best networking all year long!" "The speakers are great…networking is outstanding." "I will make definite new sales from contacts I made there." "The most diverse energy-related conference I have ever attended." Learn more and REGISTER at the official conference site.